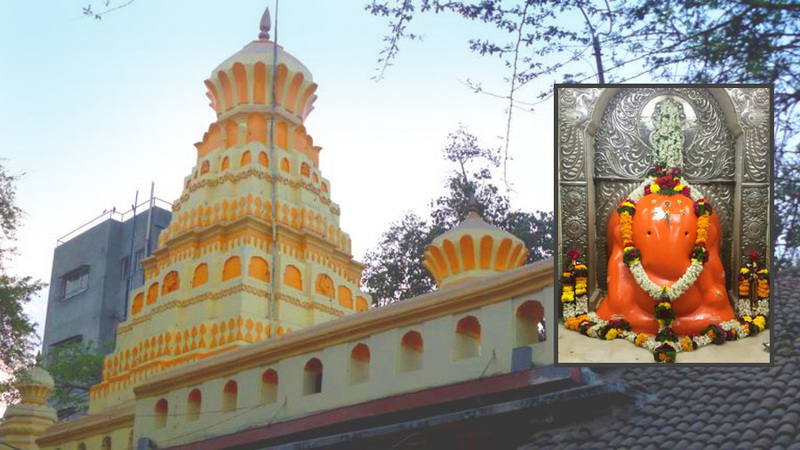 "Azad Nagar Sarvajanik Utsav Samiti was established way back in the year 1966, 52 years ago, by the blue collared workers of Golden Tobacco Company, Tata Special Steel and Excel Industries Ltd. These people had moved from the Lalbaug. Parel bastion and settled in Andheri west, Azad Nagar M.H.B Colony, closer to their factories in which they worked. M.K. 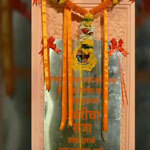 Menon, Tukaram Salaskar, Vasudev Kasalkar, etc. 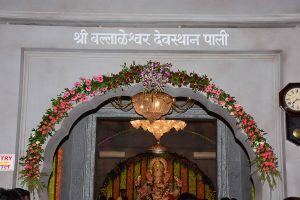 were the founder members who started this Ganeshotsav. 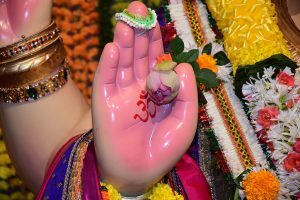 Earlier the life size sculpture of Shri Ganesha was immersed on Anant Chaturdashi day along with the smaller version (Pooja idol). 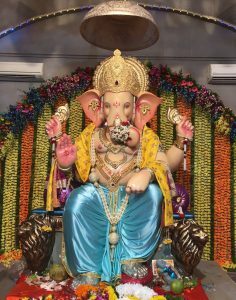 This was only in 1975, when the then Chairman of Samiti Shri Appa Khanvilkar whose wish was fulfilled by this Shri Ganpati, the Ganpati came to be known as "Navasala Pavnara Ganpati" (wish fulfilling Ganesha) who was also later known as "Andhericha Raja" (King of Andheri) by the entire Mumbai. Once there was a long lasting strike in one of the company where these Mandal’s devotees were working. They urged this Ganesha for favourable outcome of strike. Their wish was fulfilled and as promised, they started immersion of life size idols on "Sankashti Day" which comes 5 days after "Anant Chaturdashi". On the demand of the people from Andheri, the immersion procession is routed through entire Andheri village. The procession usually begins at 5’O clock in the evening and reach sea shore by next day morning. Lacs of people attend it with their own arrangements for music, lighting, Prasadum etc. 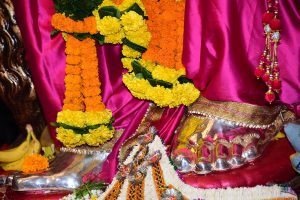 The smaller version of the pooja idol is immersed on a particular day called "Anant Chaturdashi". 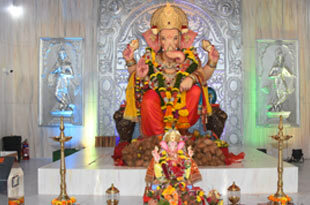 Samiti has completed 52 years of traditional celebration of Ganesh Utsav. Samiti has been achieving many awards by their contribution towards society.